Hey y'all! Welcome to another What's Hap-pinning Wednesday. Thanks for coming back each week and linking up with Jenn and little ole' me! Today I'm sharing an overload of pics and that's about all I got y'all..ha! 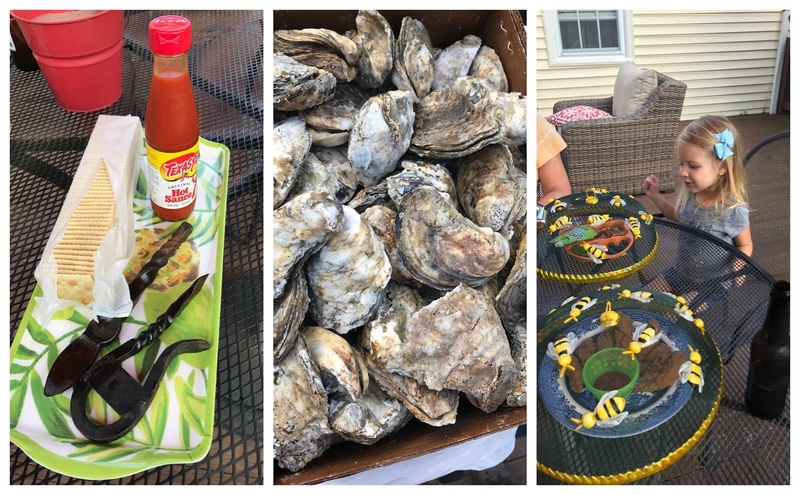 I've been getting that dreaded your icloud space is low warning so I've been backing up pics left and right (Thanks to Brittany and her life saving suggestion of Google Photos) We recently kicked off Fall with our first oyster roast at the house and it was perfect despite the hot temps and killer mosquitoes. Seriously - we had Bug Busters come out after that night and spray to get rid of those suckers. 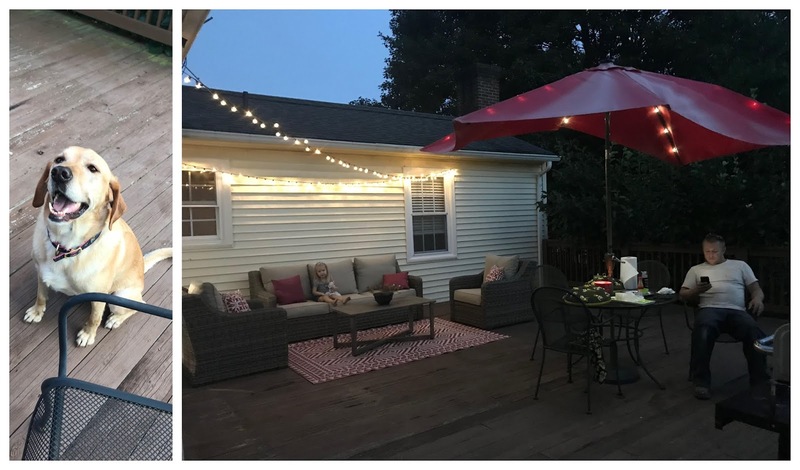 We love Fall though and using the grill now versus in the h-o-t summer. For example, the propane tank thingy has been empty since June or July and now we get a new one. We also hung some lights and utilized the furniture finally. I'm thinking about having another one in November to celebrate the Hub's birthday. 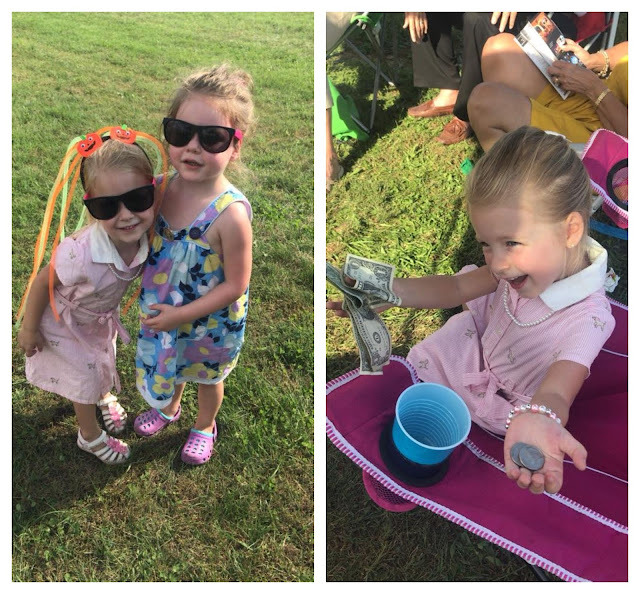 And speaking of fun get-togethers, we recently attended Family Day at Foxfield races and again, despite the heat, we had an absolute blast. Miss A is now a full blown horse addict and we also made th mistake of early exposure to gambling y'all. She bet on a horse named 'Glitter Star' (of course) and won 6 bucks- she's hooked! This week is Homecoming week so the excitement is contagious around this small town. 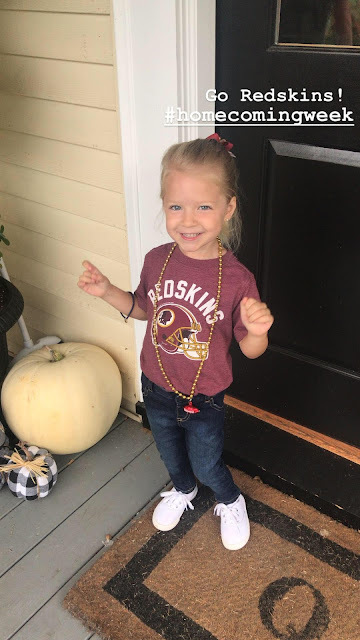 Today was sports team day and Miss A rocked her Redskins gear (no haters!) which made her Cowboy loving father less than thrilled (Ha!) and tomorrow is character day so we ALL know she'll be donning her best Belle dress. (I'll apologize to the teacher in advance for the glitter trail) Tomorrow we have the bonfire and pep rally and then the big football game on Friday night. On Saturday we'll hit up the autumn days festival and then on Sunday we head to NC to pick up our custom pineapple transom! Love that last picture of Miss Andi. She is so adorable. I can't get over how grown up she is now. Gotta love a good picture dump! Your little girl is so cute! I love that last picture of her! Also, an oyster roast sounds delish! Love the transom. Its gorgeous. I love that the horse she bet on was Glitter Star! That pic with her winnings is so cute! I love the pineapple transom! Have a great rest of your week! That pineapple transom is perfect!! So cute! Fall has definitely been good to you guys. I love Andie in her Redskins gear! Yay! Google Photos is the BEST! I’m so glad we finally have fall weather, too. Those mosquitoes were about to be the death of me. Homecoming week is so much fun and Andi looks adorable! 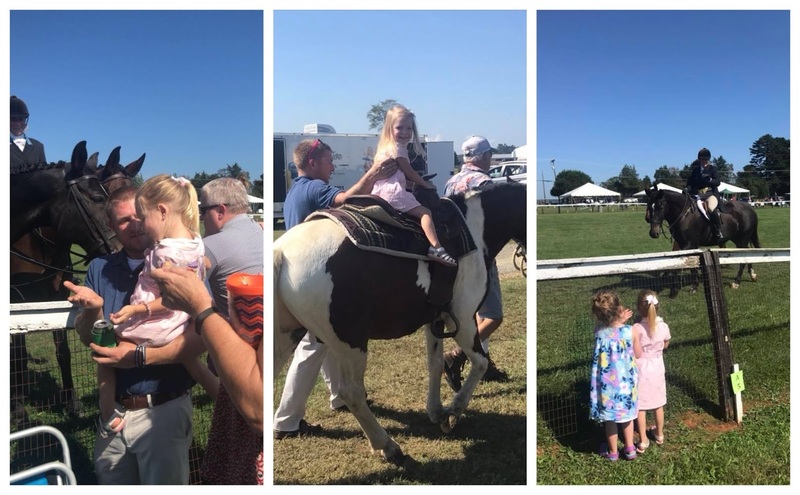 Family day is a great idea, and its a good idea that you are teaching Miss A the art of a 'flutter on the horses' as we say. I am sure sge will be a Kentucky Derby Belle one day. I love her homecoming outfit and her bow was so sweet. The weekend sounds like so much fun - makes me miss the Aggie bonfire! P.s oyster roast sounds amazing!